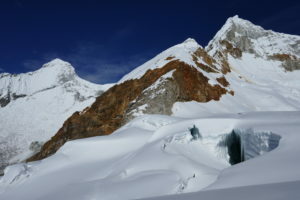 Cordillera Blanca is a paradise for high altitude climbers as it offers a wide range of peaks and routes in all difficulties. It’s the world’s highest and most glaciated tropical mountain range! Formed by the movement of the South American continental plate against the Pacific plate, it ‘s one long mountain chain less then 100 km off the Pacific coast. 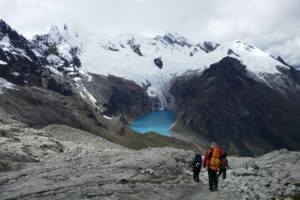 It is intersected by many formerly glaciated U-valleys which bring nearly all base camps within a day’s reach from Huaraz. 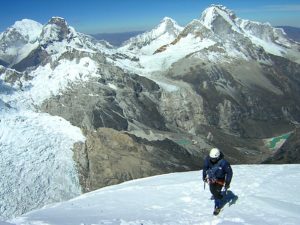 Our two weeks mountaineering trip offers you the possibility to reach four beautiful summits in the heart of the South American Andes. 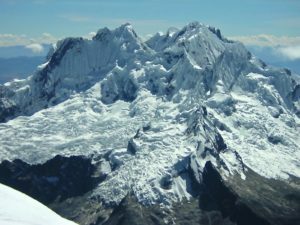 For those adventurers wanting to add an other great peak at the end of this trip, the spectacular 6354m high Chopicalqui is the one to go. 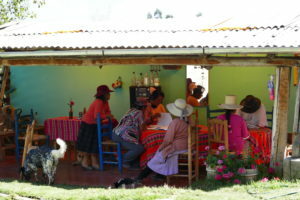 It situated in the same valley as Nevado Pisco which we’ll do at the end of the trip and takes an extra 5 days. 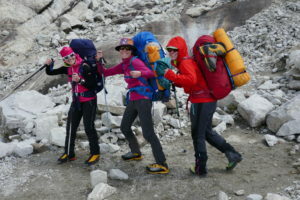 Easy trekking tour for your acclimatization. 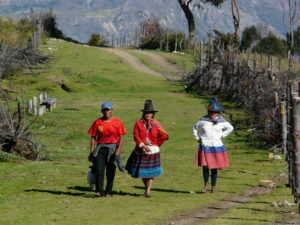 We drive to the village of Luba where we walk along an Inka trail up to Laguna Churup. The trail is narrow and steep but very interesting perfect to get used to the higher altitude. We drive to Huillac Paspha where our trail to the base camp of Quebrada Ishinca starts. 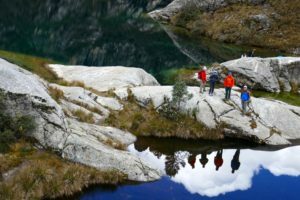 We reach the beginning of the Ishinca valley trough a beautiful, shady Quenqu forest and are now in the Huascaran National Park. 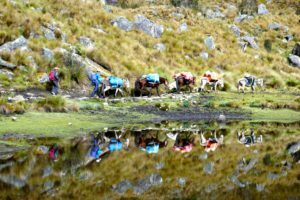 The base camp lies at the foot of two impressive 5000Meter peaks Ishinca and Urus and the 6000Meter peaks Nevado Tocllaraju and Palcaraju. An important day for our acclimatization process. 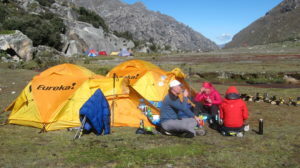 We relax and enjoy the scenery around the base camp and get new energy for the next days at high altitude. Night in tent at the base camp. An early start today to be able to reach Urus our first 5000M peak, a great first mountain that is perfect to start our mountain adventure. Night at tent at the base camp. Our second 5oooM peak is waiting for us today, the Nevada Ishinca peak. A pretty easy climb with amazing views to the Andes mountain range. Good physical condition is needed today. We climb up to Toclaraju’s camp one where we also spend the night. 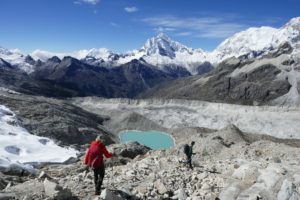 After about 3 hours we reach the base camp 1 where we have an exceptional view down to the Ishinca valley and it’s surrounding peaks like Urus, Ishinca, Ranrapalca and Palcarajus and to the deep blue Ishinca Laguna. Night at tent at Camp 1. With a bit of luck with the weather we will climb Toclaraju peak today, the highest mountain in this stunning mountain massif. 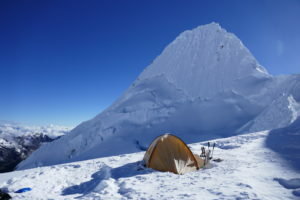 We leave our camp in the early morning to hit the climb with rope, axe and crampons. 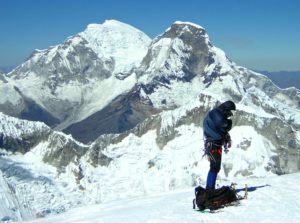 Once on the top the whole Cordillera Blanca lies underneath us. All the famous peaks are in sight – an amazing spectacle! 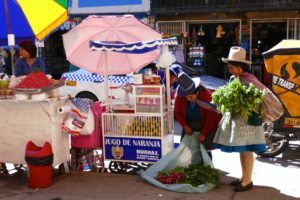 A long trekking back down to the green valleys and the vibrant Huaraz. 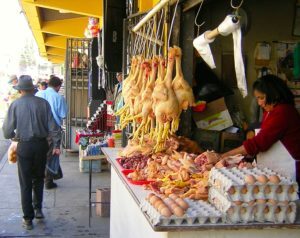 We enjoy our dinner in Huaraz and celebrate life! 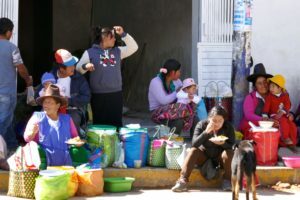 A well deserved rest day in Huaraz. Go explore the town or rest and dream of your next peaks. 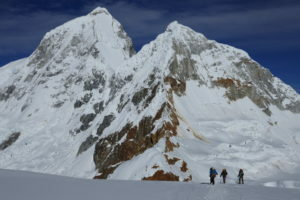 The following two days are reserved for an attempt to Nevado Pisco peak. Today we reach the base camp on his foot and the beautiful mountain hut. 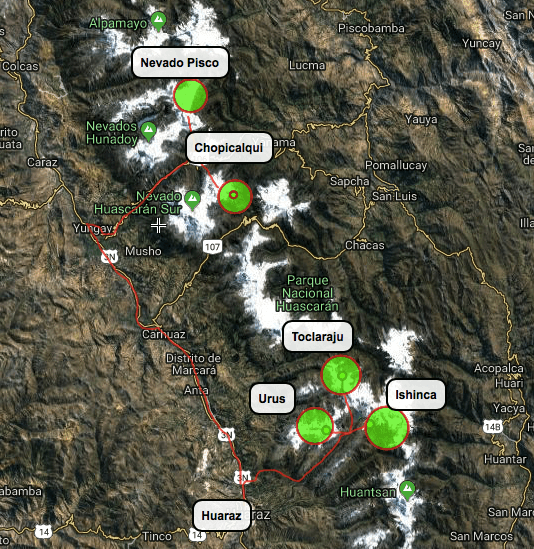 Our last peak of the 13 days program – Nevado Pisco. Trekking back down and drive to Huaraz. Night at Hotel in Huaraz. 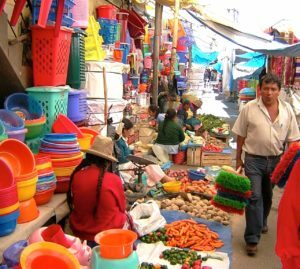 A taxi will wait for us down in the valley and will bring us back to Huaraz for a farewell dinner and celebration. End of the trip. Flights, drinks and personal expenses, all personal insurances (travel, accident etc. 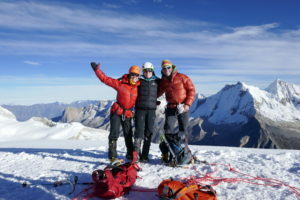 ), sleeping bag and therm a rest, climbing equipment like crampons, ice axe, harness etc. 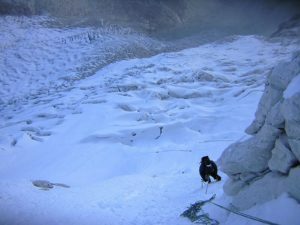 Good physical condition and some experience in glacier traveling are required!